chily - I'll dig in to it but there seems to be folks here who have a better grasp of the situation then I'll ever have. two recent papers which suggest much of the nervous hand-wringing is likely unwarranted. 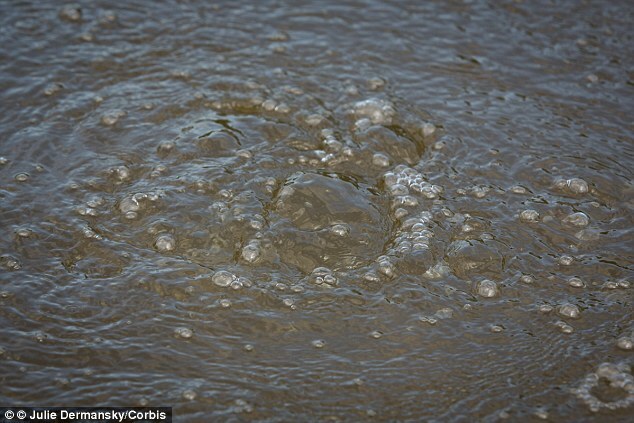 As the ESAS is shallow at only 50 metres, most of the methane being released is escaping into the atmosphere rather than being absorbed into water. we consider release of up to 50 Gt of predicted amount of hydrate storage as highly possible for abrupt release at any time. That may cause ∼12-times increase of modern atmospheric methane burden with consequent catastrophic greenhouse warming." So, to summarize you have dissassociated methane lingering about in shallow waters being barred from escape into the atmosphere ONLY by a layer of permafrost that because of the shallow waters is vulnerable to rapid warming. The other quotes speak for themselves and contradict Rockdoc's link. And of course we have an extensive body of science that implicates global warming and specifically methane as prime culprits and contributors in Mass Extinction Events in the past. so I post two peer reviewed articles in actual scientific journals that are published within the last month and you counter with some journalist's view on things from 5 years ago? 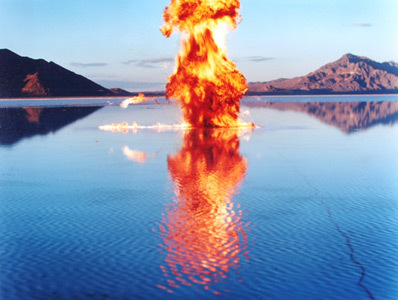 Gas hydrate, a frozen, naturally-occurring, and highly-concentrated form of methane, sequesters significant carbon in the global system and is stable only over a range of low-temperature and moderate-pressure conditions. Gas hydrate is widespread in the sediments of marine continental margins and permafrost areas, locations where ocean and atmospheric warming may perturb the hydrate stability field and lead to release of the sequestered methane into the overlying sediments and soils. Methane and methane-derived carbon that escape from sediments and soils and reach the atmosphere could exacerbate greenhouse warming. The synergy between warming climate and gas hydrate dissociation feeds a popular perception that global warming could drive catastrophic methane releases from the contemporary gas hydrate reservoir. Appropriate evaluation of the two sides of the climate-methane hydrate synergy requires assessing direct and indirect observational data related to gas hydrate dissociation phenomena and numerical models that track the interaction of gas hydrates/methane with the ocean and/or atmosphere. Methane hydrate is likely undergoing dissociation now on global upper continental slopes and on continental shelves that ring the Arctic Ocean. Many factors—the depth of the gas hydrates in sediments, strong sediment and water column sinks, and the inability of bubbles emitted at the seafloor to deliver methane to the sea-air interface in most cases—mitigate the impact of gas hydrate dissociation on atmospheric greenhouse gas concentrations though. There is no conclusive proof that hydrate-derived methane is reaching the atmosphere now, but more observational data and improved numerical models will better characterize the climate-hydrate synergy in the future. If you were actually familiar with the "body of science" in regards to the various mass extinction events you would understand that nobody actually knows what caused them and it is an area that is still under considerable debate. There are many conflicting theories and methane release isn't part of all of them. Welcome to the geologic sciences. and you counter with some journalist's view on things from 5 years ago? They are referencing the scientists Semiletov and Shakhova and their publication.. You know like the scientists doing the actual fieldwork and focused specifically on the ESAS. So you have a problem with them? As for 5 years ago, well that only means the author and the scientists have only more reason to be alarmed given the rapidly rising methane levels from 2014-6 as linked earlier in this thread. They are referencing the scientists Semiletov and Shakhova and their publication.. You know like the scientists doing the actual fieldwork and focused specifically on the ESAS. Like the ones who wrote the three papers I pointed to?? As for 5 years ago, well that only means the author and the scientists have only more reason to be alarmed given the rapidly rising methane levels from 2014-6 as linked earlier in this thread. Hi rockdoc123, thanks for the links to the interesting papers. The Science Advances paper by Katy Sparrow suggests that the ocean can strongly limit atmospheric emissions of methane. Based on C14 isotopic abundance, only up to 10% of the deep sea (ancient) methane is measured to escape into the atmosphere. Is the oceanic dispersion process expected to trend linearly if subsea emissions increase? How about at the (crazy) emission rates that are suggested by Semiletov and Shakhova? And what do you think about terrestrial sources, such as the "accelerating" permafrost thaw and the gas emission craters that have recently been discovered in the Yamal Peninsula? There do not appear to be any limitations to atmospheric release in these cases. Thanks! While there is still discussion about the precise source of the methane, there is no doubt methane concentrations continue to increase in the atmosphere. In 2017 they reached levels well over 1800 ppb--- almost three times greater then they were before the industrial revolution began. Careful, Rockdoc is presenting Apples to your Oranges. His papers don't address the situation and conditions on the ESAS at all. His dissembling is his trademark. He knows exactly what he is doing. Ha. Yes I am aware of rockdoc123's relatively transparent agenda. I believe he may have some affiliation to the Athabasca tar sands mining operations. However, I do enjoy looking into the scientific articles he presents. As to your first comment, "Deep vs Shallow," rockdoc123 is going to tell us that the Sparrow paper does in fact take shallow sources into account, however the other "apples to oranges" comments are largely accurate, particularly the conditions specific to the ESAS. I was alluding to this in my previous comment by asking if oceanic dispersion of methane trends linearly for the extreme release scenarios proposed by Semiletov and Shakhova. Sparrow told IFLScience that her team “make no attempt to upscale our findings to other areas of the Arctic,” and similar studies are needed elsewhere. Their site also has no known methane seeps, unlike those causing alarm in other parts of the Arctic. Nevertheless, the fact the Bay is quite shallow and yet the ancient methane Sparrow found near the seafloor is not reaching surface waters presents an encouraging sign for the deeper locations. rockdoc123, I am still interested in hearing your response! The paper referenced from Svalbard quotes 30 m and beyond and the ESAS sits at ~50m. Oh please. Are you trying to tell us all here that somehow Eastern Siberia was never affected by continental glaciation and somehow avoided isostatic rebound? The fact the ESAS authors haven't considered it doesn't mean it isn't a key factor. The Svalbard paper introduced isostatic adjustment as a factor in contrast to all previous research. Yeah, right. Who is dissembling here? Pretty obvious to me. Plus you conveniently fail to mention that the Sparrow et al paper is talking about a process that would be common in all waters regardless of location. They point out the shallow methane in water is not derived from seafloor leaks...but is from other sources. Has Shakhova and others done the type of isotope work necessary to evaluate this? Apparently not according to the Sparrow paper that references that work. Many factors—the depth of the gas hydrates in sediments, strong sediment and water column sinks, and the inability of bubbles emitted at the seafloor to deliver methane to the sea-air interface in most cases—mitigate the impact of gas hydrate dissociation on atmospheric greenhouse gas concentrations though. There is no conclusive proof that hydrate-derived methane is reaching the atmosphere now, but more observational data and improved numerical models will better characterize the climate-hydrate synergy in the future. and once again I ask the simple question, if it is the sudden release of increasing amounts of methane due to recent warming that is causing concern why is that not showing up in the ESRL data? Not only should it show up as a rapid ever increasing % in close by sites (Titsi and Svalbard) but given methane is a well mixed gas it should be showing up in 6 months time at every station in the northern hemisphere. Which leads us back to the comment from the Rupple paper...."no conclusive proof that hydrate-derived methane is reaching the atmosphere now". ...."no conclusive proof that hydrate-derived methane is reaching the atmosphere ...". Actually, there are numerous observations and documentation of methane bubbles reaching the surface of the ocean, including some that are clearly derived from methane hydrates. We may not know the precise magnitude of the methane flux from the ocean to the atmosphere that shipboard scientists have observed and documented---that is the target of current studies--- but trying to pretend it doesn't happen and no methane from the ocean ever gets into the atmosphere is silly. Methane vents at the surface in many sites in the Arctic...its become so common in recent years that setting it on fire has become a kind of a game up here in the Arctic. Is there any satellite picture proof of this methane fires? The amount of CH4 sequestered in and spatially associated with gas hydrates remains uncertain, and better constraints on these values and on the distribution of hydrates and associated free gas in different physiographic settings will advance understanding of the exogenic carbon cycle and long-term synergies between the hydrate reservoir and the climate system. Special attention should be focused on mapping the contemporary distribution and inferring the saturation of methane hydrates in settings that are most susceptible to climate-driven dissociation. For example, data that can delineate the baseline state of upper continental slope gas hydrates will prove useful in future decades as warming intermediate waters continue to drive dissociation. On Arctic Ocean margins, field expeditions that constrain the current distribution of subsea permafrost can identify where PAGH may remain in association with intact permafrost and in thawed zones beyond the edge of that permafrost. With rapid thawing of subsea permafrost expected to continue throughout the 21st century [Rachold et al., 2007], baseline data sets on Arctic Ocean shelves will have particular significance for tracking the impact of climate change. Anomalously shallow gas hydrates have been postulated for the Yamal Peninsula [Chuvilin et al., 2002] and invoked to explain some observations on the East Siberian Arctic Shelf [Shakhova et al., 2010a], as discussed above. Neither area was glaciated at the LGM, and the shallow gas releases on which the anomalous hydrate interpretation is based [Chuvilin et al., 2002] are common in permafrost areas during drilling and thought to be unrelated to gas hydrate dynamics. Even if proof for anomalous gas hydrates is eventually found, it remains uncertain how the pressure and temperature conditions at shallow depths (e.g., less than 100 m) could have been within the gas hydrate stability field absent recent glacial loading or a highly unusual mixture of hydrocarbons. At high latitudes, the key factors contributing to overestimation of the contribution of gas hydrate dissociation to atmospheric CH4 concentrations are the .... the extrapolation to the entire Arctic Ocean of CH4 emissions measured in one area. So Ms. Rupple is claiming throughout her paper that no CH4 emissions have been measured coming from the ocean, and in another place she is acknowledging that CH4 emissions HAVE been measured coming from the ocean, and then quibbles that the measurements show CH4 releases from the Arctic Ocean are so high that extrapolating them to other areas of the Arctic Ocean might yield an overestimation of total CH4 flux. I personally have never met Ms. Rupple, but that is one boneheaded mistake for sure in her 2017 paper. She claims repeatedly that there are no CH4 emissions due to hydrate disassociation but later in the paper she herself admits that there are indeed measurements of CH4 coming from the ocean. Its as though she wrote the entire paper....and then an editor told her to actually put in the real data....so she mentioned the real data showing CH4 emissions from the Arctic ocean but was too lazy to change her false claims in the rest of the paper. Are you trying to tell us all here that somehow Eastern Siberia was never affected by continental glaciation and somehow avoided isostatic rebound? The shallow Bering Strait connection to the Pacific and the huge Siberian shelves were subaerially exposed and covered by a periglacial tundra steppe [Hopkins, 1982; Sher, 1995; Elias et al., 1996]. Model simulations of the LGM climate show that the expansion of ice sheets over North America and NW Eurasia caused severe changes in atmospheric temperatures, pressure gradients, and geostrophic wind patterns [Kutzbach and Guetter, 1986; Ganopolski et al., 1998; Kageyama et al., 2001], which must also have influenced the Arctic Ocean environment. Paleobotanical data [Tarasov et al., 1999] support model outputs, which indicate a much drier and colder climate in the ice sheet-free areas of northern Eurasia than today, resulting in a decreased freshwater supply from Siberian rivers. Carolyn Ruppel is petroleum geologist who heads up the USGS gas hydrate project, promoting methane hydrate as an energy source in conjunction with the Oil and Gas industry. Ruppel has been at the forefront of the methane hydrate disinformation campaign, attacking any papers suggesting methane hydrates are unsafe to extract, or may pose a danger to the environment. She also recently wrote a paper trying to claim algae consume any methane that reaches the surface. Actually, she was describing half of a production-consumption cycle, and was ridiculed for her disembling. The research to rebut her claims was already out there. Methane in situ production occurs frequently in the oxygenated upper ocean. A principal pathway by which methane can be formed is methylotrophic methanogenesis, while an important methylated substrate is DMSP (dimethylsulfoniopropionate) produced by marine phytoplankton. Here we report on an in situ methane production/consumption cycle during a summer phytoplankton bloom and a potential link to DMSP concentration in Storfjorden (Svalbard Archipelago) – a polar shelf region. We propose that methane in situ production occurs during the summer phytoplankton bloom. The concentration of methane increases up to a certain threshold value, above which methane consumption begins. A methane production-removal cycle is established, which is reflected in the varying methane concentrations and δ13CCH4 values. DMSP and methane are inversely correlated suggesting that DMSP could be a potential substrate for the methylotrophic methanogenesis. Since surface waters release methane to the atmosphere, consumption can only take place on what's left in the water column. Therefore, Algal blooms are not a sink, but rather a source. The point made as was also made in the Sparrow et al paper is the methane that is being measured at the surface is not hydrate sourced. Not what the paper says at all. In summary Ruppel and co-author Kessler point out that there is an assumption that methane must be dissociating from hydrate deposits but there has never been a measurement than can directly tie any methane measured to a hydrate source. To date attribution has been done mainly by models. The authors point out the various problems in trying to “fingerprint” methane to a hydrate source. In essence their view is there is no method viable at this point in time. The inclusion of hydrate dissociation as a possible source of atmospheric CH4 in the IPCC reports is a rightful acknowledgement of the fact that the amount of CH4 sequestered in this reservoir dwarfs that in some other parts of the Earth system. On the other hand, the IPCC reports cite no direct sources that constrain emissions of CH4 to the atmosphere as a result of gas hydrate dissociation. Indeed, while gas hydrate deposits are likely dissociating and releasing CH4 to sedimentary sections and the ocean on contemporary Earth, there remains no evidence that this hydrate-derived CH4 reaches the atmosphere or that the amounts that could potentially reach the atmosphere are significant enough to affect the overall CH4 budget. In the following sections, we discuss some of the difficulties in discerning methane released from gas hydrates from other populations of methane in the ocean and atmosphere and also underscore the powerful role of sinks in mitigating the transfer to the atmosphere of methane released by dissociating gas hydrates. To date, numerous direct measurements have been made to quantify bulk CH4 emissions from tundra, high-latitude wetlands, and thermokarst lakes [e.g., Christensen, 1993; Walter et al., 2006; Whalen and Reeburgh, 1988; Wille et al., 2008; Zona et al., 2016], but attributing a fraction of this CH4 stream to gas hydrate dissociation is not currently possible. Furthermore, the observed increase in atmospheric CH4 concentrations since about 2007 [Dlugokencky et al., 2009] cannot be attributed to arctic emissions, which are expected to continue rising as global warming leads to enhanced methane production and/or release from several sources [World Meteorological Organization, 2013]. Even under a possible future scenario of rising arctic CH4 emissions, which are expected to lag warming, discerning the component related to gas hydrate dissociation may always remain more challenging at high northern latitudes due to the number of methane sources in these settings and their overlapping depths of origin (Figure 10). On the contemporary Earth, gas hydrate is dissociating in specific terrains in response to post-LGM climate change and probably also due to warming since the onset of the Industrial Age. Nevertheless, there is no conclusive proof that the released methane is entering the atmosphere at a level that is detectable against the background of ~555 Tg yr−1 CH4 emissions. The IPCC estimates are not based on direct measurements of methane fluxes from dissociating gas hydrates, and many numerical models adopt simplifications that do not fully account for sinks, the actual distribution of gas hydrates, or other factors, resulting in probable overestimation of emissions to the ocean-atmosphere system. An interesting aside to all of this is the Ruppel published a controversial paper in 2015 that suggests the amount of methane in hydrates in the world is only slightly more than 1% of modern estimates of 1600 to 1800 Gt C. She also points out that the estimate by Shakova and others of 35 Gt C stored in gas hydrates on the Laptev shelf is 75% greater than the value she calculates for the entire onshore and shallow offshore artic region. what a complete load of bollicks. The paper referenced is an accumulation of all the relevant literature available on methane hydrates at the time of writing. The authors are merely pointing out what the vast majority of the literature says. The authors reference around 350 papers including all of the papers written by Shakova and co-authors at that time. The fact that it doesn't portend a world exploding may not sit with your belief system but unless you can argue where the authors misquoted other work or misinterpreted it you are simply using the old "oh, she must be an agent of the oil industry" crap that has no place in the discussion of scientific publications. And if she is a cheerleader for the oil industry then why did she publish a value for global methane hydrate resources that was 1% of the former published number? If the USGS was only interested in developing hydrates at the expense of potential climate change (as you seem to claim) then invariably she would have gone with the current estimate if not higher. Our data show that at a shallow water depth, approximately 67–72% of CH4 remains in the bubbles when the bubbles reach the sea surface. Dissolved CH4 in the outer ESAS requires 300–1000 days to be oxidized in the water column because CH4 oxidation rates are very low (mean±1 s.d. : 0.0988±0.1343 nM d−1, p=0.95, n=328). During this time, some of the aqueous CH4 inventory is likely to be released to the atmosphere during storms . The remaining dissolved CH4, captured beneath the sea ice in winter, can spread further from the ESAS via currents (figure 4), and some can escape to the atmosphere through leads and breaks in the ice . Sea ice serves as a natural physical barrier that restricts CH4 emissions from the ESAS during the ice-covered period. Because the temperature in the Arctic has increased at twice the rate as in the rest of the globe, and the region is expected to increase an additional 8°C (14°F) in the twenty-first century , longer periods of open water and shorter ice-covered periods [35,36] are occurring. Increasing periods of open water implies an increasing number of storm events, when wind speed increases to 15 m s−1 or more and the boundary between sea surface and air increases many times due to deep water mixing. Such events have the potential to rapidly ventilate bubble-transported and dissolved CH4 from the water column, producing high emission rates to the atmosphere. Because more than 75% of the total ESAS area is less than 50 m in depth, the water column provides bubbles with a very short conduit to the atmosphere. Storms enable more CH4 release because they destroy shallow water stratification and increase the boundary between sea surface and air, thus increasing gas exchange across phase boundaries. As a result, bubble-mediated, storm-induced CH4 ‘pulses’ force a greater fraction of CH4 to bypass aqueous microbial filters and reach the atmosphere . In addition, about 10% of the ESAS remains open water in winter due to formation of flaw polynyas. It was shown that flaw polynyas provide pathways for CH4 escape to the atmosphere during the arctic winter . Areas of flaw polynyas in the ESAS increased dramatically (by up to five times) during the last decades, and now exceed the total area of the Siberian wetlands (electronic supplementary material, figure S5). This implies that the ESAS remains an active source of CH4 to the atmosphere year-round. you do realize that isostatic effects from the build up of 3000 m or so of ice in an area just west and north of the Laptev Sea extends for some distance? When the ice loads the asthenosphere moves into an area in front of the ice sheet leading edge which would include the Laptev Sea and as the ice melts the asthenospheric material moves back into the area it retreated from creating both isostacy and eustacy. The effects would be much less onshore current Eastern Siberia but offshore they would have been measurable. The Laptev Sea and East Siberian Sea are extended shallow shelf seas which were largely land fallen during glacial periods when the global mean sea level was more than 100 m below its present value. To understand the environmental history, and, in particular, the evolution of the large offshore permafrost complexes in this region, a reconstruction of the sea-level variation and shoreline migration was undertaken. Sufficient geological information by sea-level indicators is missing and, in recent studies, the eustatic sea-level curve is commonly applied, neglecting any isostatic adjustment processes. In this study, we discuss the influence of glacial isostatic adjustment (GIA), which describes the deformational response of the solid earth and the resulting sea-level variations due to the water mass redistribution between ice sheets and ocean during a glacial cycle. Motivated as a sensitivity study, we consider GIA-induced sea-level variations from the last glacial maximum (LGM) to present and apply an earth model ensemble which covers the range of reasonable rheological parametrisations for a passive continental margin. The geodynamically consistent sea-level reconstructions are applied to predict the shoreline retreat in the Laptev and East Siberian seas. We confirm with this study that the application of the eustatic sea-level curve is a valid first-order approximation for reconstructing the shoreline position from LGM to present, whereas the sea-level heights away from the shoreline inferred from the eustatic sea-level curve differ markedly from GIA predictions.